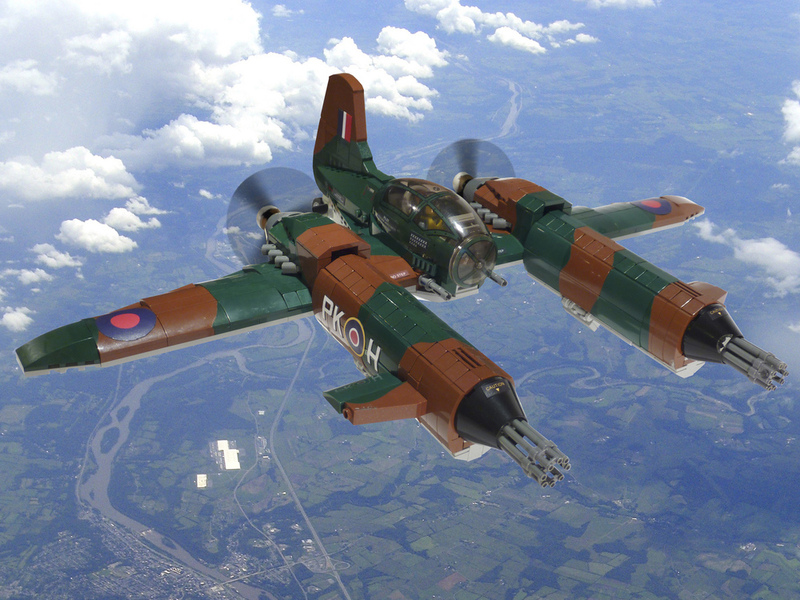 For a great many admirers, myself included, Jon Hall rules the skies. 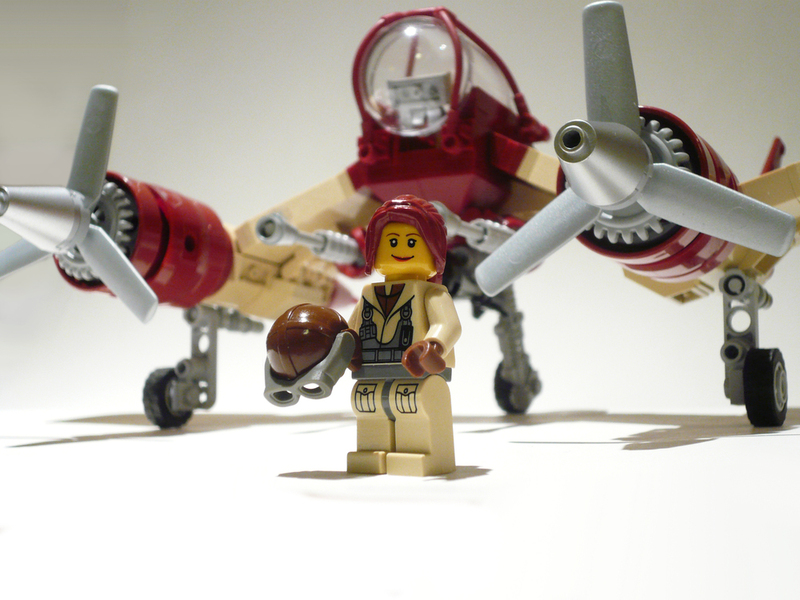 His whimsical, detailed and imaginative aircraft have been delighting LEGO fans for years. Not only are they expertly designed and built, but Jon takes so much care in the photography and photo editing that his work simply stands alone. And it's not just brick, Jon takes meticulous care to design a pilot for every craft, and beautiful stickers that rival official LEGO stickers. Each piece is a work of art, from the spinner to the rudder, and everything in between. Jon also has a project on Cuusoo, and with your support we can all have one of these beauties on our bookshelf. I'm pleased you can all get a chance to know this builder a little better. I started building as an adult after my first son, Max was born. We were visiting my parents’ house and they got down my old Lego from the loft for him to play with. They still had most of my original instructions so we built my old train set (7740), put in on the tracks, switched on the power and… it still worked! My son was very keen on this “new” toy so we from then on we started buying him current Lego sets for his birthday and Christmas and I helped him assemble them. He started collecting the Mars Mission sets and wanted a base but as we didn’t like the official set I built him one of my own design in secret and then presented it to him. He loved it, but I had the bug then and wanted to build more stuff and that’s where it all began. My earliest Lego memories are of these sets: 367 Moon Landing and 555 Hospital, even though looking them up now I’d have only been about two when they came out! (there, now I don’t need to tell you exactly how old I am!) I owned some of the sets that are now regarded as classics – the famous “yellow castle” and quite a lot of the classic space sets. Happy days. I don’t know! I suppose I’m quite a creative person, I’ve worked as in animation, computer games and am currently working for a major UK publishing house as a graphic designer. In my day job I work with Lego, Lucasfilm, Disney, Pixar and Marvel to name but a few, doing licensed books of their IPs. I’ve just finished designing the updated Lego Star Wars Visual Dictionary, which was quite cool because we got to see the upcoming Star Wars sets from the second half of 2014 before anyone else! It’s a perfect job for a Lego/comics/sci-fi geek like me! Ooh now this is rather a contentious one isn’t it? Generally most of my builds have been what you'd call purist but I wouldn’t ever rule anything out. 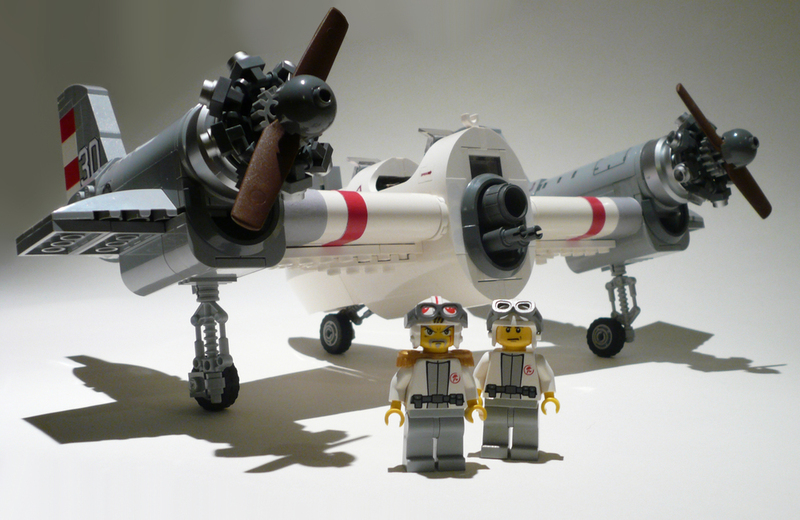 It’s funny this should come up now because my latest moc (yet another plane) has a few elements that I’ve painted silver. Some people will love it despite that, others will hate it I’m sure. Personally I think the purist “rules” are fine if you want to abide by them, after all there’s something to be said for limits stimulating creativity, but there are times when it can stymie creativity and I’ve always thought that truly creative people usually break the rules anyway. Designers who work for Lego have to follow all sorts of very strict rules – one of the joys of being an AFOL is there are no rules! I think you should enjoy that freedom and have fun rather than getting hung up on these things. Oh lots and lots, I have a ridiculous amount of contacts on flickr! There are so many builders out there that I admire that singling a few out is very hard but a few that spring to mind as exceptional, inspiring and consitently good are (flickr names:): LEGOLIZE IT MAN, Fredoichi, Pierre E Fieschi, Cole Blaq, Legohaulic, Legoloverman, Red Spacecat, Ted @ndes, Orion Pax, Vince Toulouse, 2 Much Caffeine. You can learn a lot from a really great builder. Pierre in particular is one of those builders that every time he posts something you just want to get your notebook out and start taking notes. I’m usually pretty happy with my old models, probably because I’m quite a perfectionist! Sometimes Lego does release a new element or a piece in a new colour and I think – if only I had this piece THEN. That happens sometimes. You may find this hard to believe but I don’t really have one! I live in a very small flat in London with my two sons and my partner, Rachael, so I have to build either in the lounge or sometimes in the shed. You probably think the shed sounds okay, but you haven’t seen my shed! We’re looking to move house this year as we just need more space. Sometimes when I see other people’s “Lego rooms” I get very envious! No, I could never get to grips with LDraw or Digital Designer although I’m not a luddite – I use a computer in my day job all the time. I suppose when it comes to Lego I’m more hands on and also I like the fact that sometimes when you’re searching for a piece you can come across another piece that you weren’t looking for and that can give you ideas. Usually very late at night. Or when my kids are away at their grandparents! Yes sometimes. It also serves a secondary purpose of helping me to gauge how long I’ve been building for – when a CD finishes I know that’s about an hour! 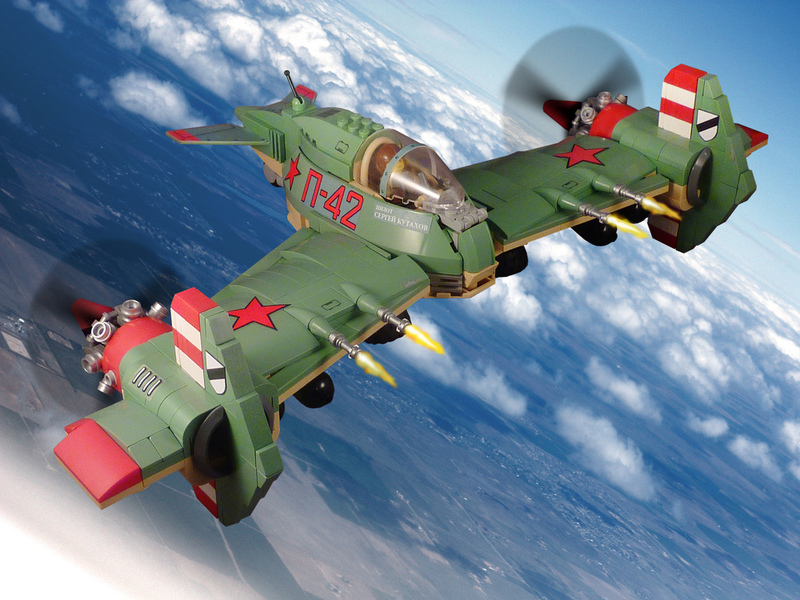 How do you go about building a model? Not really, for three reasons: I usually need to cannibalise them for parts, I don’t have much space (small flat syndrome again!) and once I’ve built and photographed them I’ve usually moved on to the next thing anyway. Sometimes if I know I’m going to a meet I have to remind myself not to take a model apart as I’ll need something to bring along with me! I almost always create photo-instructions so I could rebuild them in future if I wanted to. Instructions are also invaluable sometimes when I want to re-use a technique I used in an old model but can’t remember how I did it. I pull up my old instructions and – A-ha! That’s how I did that bit! That’s a tough one, but I’d probably say my little WW2 walker the “Froghopper.” It personifies my building style (or at least what I aim for) which is a whimsical fantasy idea realised using real world technology and engineering. In Lego.